We provide versatile, durable, and affordable steel arch buildings factory direct with a 35 year steel mill backed warranty. For metal garages, hay barns, workshops, warehouses, storage buildings and more, U.S. Buildings has the perfect steel building for your needs. A factory direct business approach translates to big savings, whether you’re a large corporation or an individual. No matter the size of your metal building project, our business method is guaranteed to save you money. All of our metal buildings are crafted at our state-of-the-art, fully automated and computer aided manufacturing center in Boone, North Carolina. U.S. Buildings makes every piece with high precision standards from the finest heavy grade commercial steel in the world. We decided a long time ago to employ highly skilled, leading architects and engineers to develop our steel arch system and we believe quality and durability of our metal buildings reflects that. We’ve spent millions in research and manpower to produce the best buildings on the market as our products have become, and continue to be the industry standard for durability, affordability and do-it-yourself construction. Our buildings have no beams, posts or trusses creating a steel building with 100% useable space from floor to steel arch ceiling. 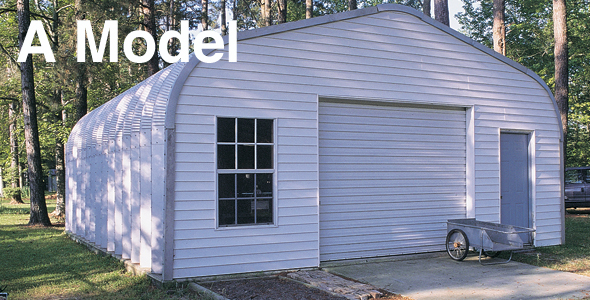 Our metal buildings are manufactured to be assembled in an easy, three-step, do-it-yourself process. - U.S. Buildings steel buildings are designed for precise ventilation and airflow. 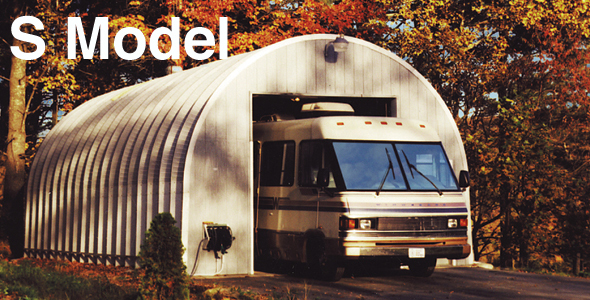 - All of our residential steel buildings can be easily insulated to lower heating and cooling costs. Our steel buildings come directly from our factory in Boone, North Carolina. We eliminate the middleman and can pass thousands in savings to directly to our customers. -The precise 9 inch overlaps of our steel building arches strategically places more steel at every critical connection point, ensuring the very best fitting arch system available. 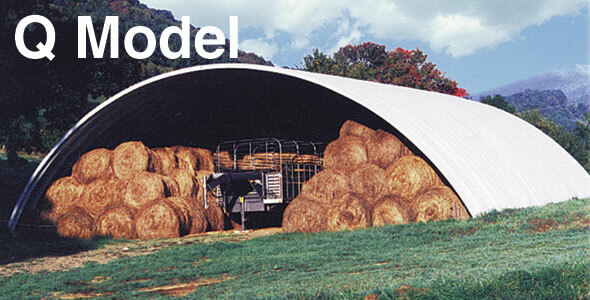 -Our arches are double bolted to create an extra durable steel building that is virtually weather tight. -We use a high quality zinc chromate plated bolt with neoprene washers for a virtually airtight seal. - Our buildings are made from the finest, heavy gauge galvalume steel available in the world. - We have several metal building models to choose from to meet both your aesthetic and your functional needs. - Our metal buildings are versatile enough to be used for any project from a small backyard shop to a large steel airplane hangar. - You can even customize your own endwalls in almost any way to save money and match your existing home or structure. Ask these questions BEFORE you buy a metal structure! Are you buying directly from the manufacturer? Or are you buying from a middleman? Does the building come with state certified concrete drawings? Or are you required to pay thousands to get your own concrete drawings drafted? Will you have to spend thousands of dollars to rent a crane to aide in building construction? Or can you do it yourself with scaffolding? Are the metal buildings bolt-up kits? Or are you required to weld the entire structure on your own after construction? Are the bolt holes pre-drilled? Or are they non-pre-drilled screws? Do they use Grade 8 bolts with recessed neoprene washers and hold up to a rigorous 500 hour salt spray test? Is your warranty for 1.5 to 5 years? Or is it for 35 years? Do the arches overlap a full 9 inches like a U.S. Buildings metal building? Or do they only overlap the standard 3 inches? Does your warranty come from a broker? Or does it come from both the manufacturer and the steel mill as it does from U.S. Buildings? Is your provider using galvalume steel? Or lower quality galvanized steel? Is the building manufactured in 22 gauge steel? Or is it manufactured in 26 or 29 gauge steel (weaker)? Are you buying from an American manufacturer? Or from a component company from a foreign country increasing your risk that your pieces may not line up properly? Is 12 hour customer service a standard? Or do they operate on usual 9am-5pm hours?